The expression was coined by Cowboy Ventures founder Aileen Lee back in 2013. At the time, a unicorn company was as rare as its mythological namesake, with only 39 companies included in this rarefied group. Now there are 376 businesses that fall under the unicorn category globally, and the numbers are still growing. There have also been changes to the definition. These days, a unicorn is “a privately held startup company with a current valuation of $1 billion or more.” They are also not limited to the US. China reportedly has the most unicorn companies now. The software company is aiming to be the world leader in Enterprise RPA or “robotic process automation.” UiPath wants to automate routine tasks to help streamline business processes. Their open platform is touted to be extensive, with hundreds of customizable and deep integrations with AI, BPM, and ERP technologies. The company was founded in 2005 and has slowly and steadily worked its way to the top. 2018 has proven to be a banner year for the company, as it received $153 million from investors in March and was able to raise $225 million in a September funding round. UiPath is currently valued at $3 billion. The tech business with the ephemeral sounding name bills itself as the only data warehouse built exclusively for the cloud. Snowflake is pushing companies to combine the power and flexibility of the cloud, data warehousing and big data platforms for their data solutions. The company was founded in 2012 by Benoit Dageville and Marcin Zukowski. They’re supported by a team of technology and industry experts, as well as top-notch investors that have helped push the company to its $3.95 billion valuation. Food is always a lucrative business, and DoorDash wisely took advantage of that fact. The on-demand food courier service has grown by leaps and bounds since it was established in 2012 by four Stanford students. The company’s use of logistic services has helped it expand to 56 markets and go head-to-head with rivals like Uber Eats and GrubHub. The company has had a lucrative year; forging partnerships with Walmart and Chipotle and raising $535 million in a Series D round. It’s currently valued at $4 billion. The American video game developer has an epic history, beginning in 1991 when it was founded by Tim Sweeney. The company is known for developing the Unreal Engine, and games like Fortnite, Infinity Blade, Gears of War, and Unreal. Despite being around for more than two decades, the company is showing no signs of slowing down and has climbed its way to a valuation of $15 billion. Billed as the smoking alternative, Juul was founded in 2017 and immediately found a strong following among the millions of adult smokers. The electronic cigarettes company was established by former smokers who wanted a world where there’s minimal cigarette use. To do that, they designed a device that’s thin, streamlined, and comes with an intelligent heating mechanism. Juul’s classy look and large variety of flavors have helped the company reach a $16 billion valuation. What’s exciting is the number of tech startups that have joined the golden herd. 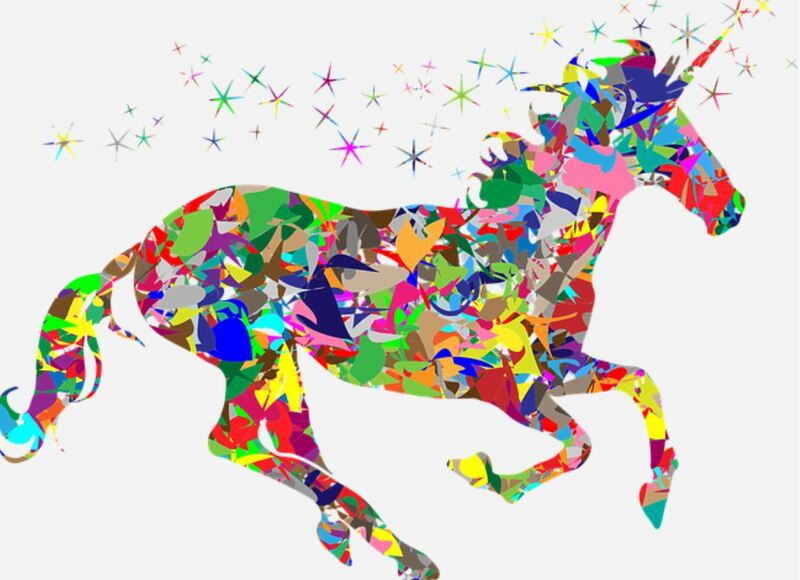 There are reportedly 81 new unicorns this year. And, according to PitchBook, 35 US startups joined the unicorn class in 2018.